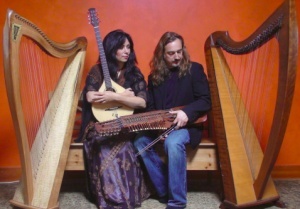 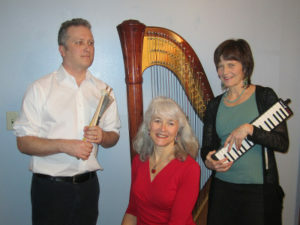 Lisa Lynne & Aryeh Frankfurter perform with two Celtic harps, the rare Swedish Nyckelharpa, Ukrainian Bandura, Cittern and more.The audience will hear Traditional instrumental music from Sweden and Ireland as well as heartwarming original compositions. 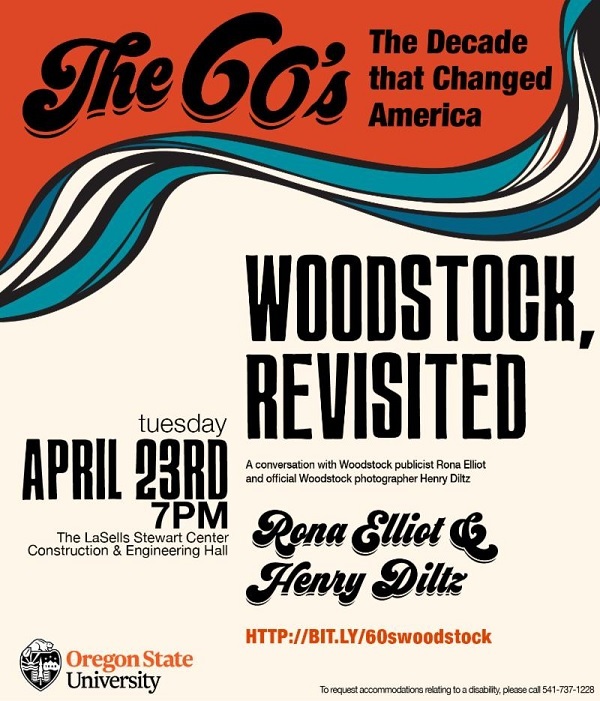 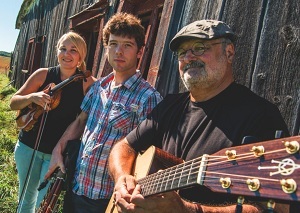 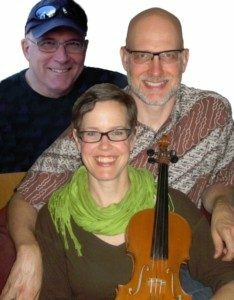 They will present an eclectic blend of music, humor and tales from their adventures as modern day troubadours. 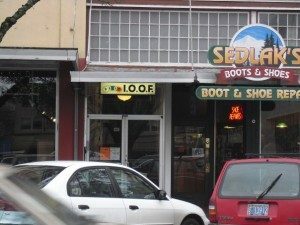 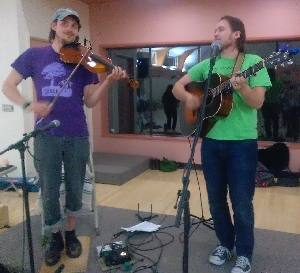 They hail from Oregon and tour extensively, both having successful recording and performing careers built from years of street performing and a background as rock musicians. 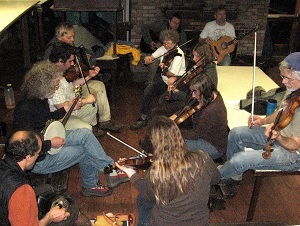 They have performed with some of the biggest names in folk and acoustic music and have sold well over a million albums combined. 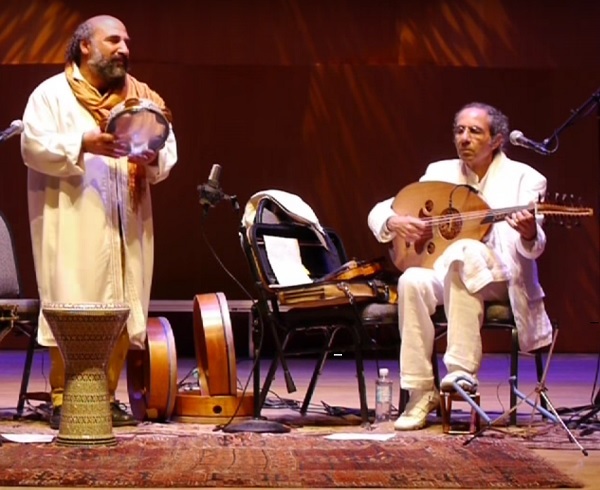 Audiences are spellbound and enchanted with their unique show of breathtaking music both traditional and original, with wondrous stories and humor entwined.